A Sales Representative position calls for people that display this trait more prominently than most people. The ideal candidate is content working in a group setting, and often seeks out a leadership role. Sales Representative positions call for people that display this trait differently than most people. The ideal candidate usually develops a thorough plan before beginning a task. This position calls for people that display this trait more prominently than most people. The ideal Sales Representative candidate is usually objective in their decision making and actions, even in trying circumstances. Sales Representative positions call for people that display this trait more prominently than most people. The ideal candidate usually embraces the opportunity to try new ways of doing things. 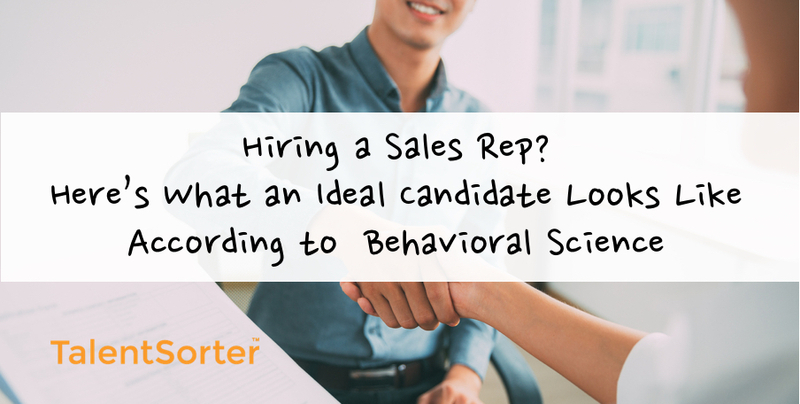 Sales Representative positions call for people that display this trait like most people. The ideal candidate prides themself in telling the truth, but sometimes withholds information if it won’t harm anyone. This position calls for people that display this trait more prominently than most people. The ideal Sales Representative candidate often has a tendency to take charge and be the leader of a group. Influence: Tendency to focus activities on persuading others to follow or work with them in attaining objectives. Sales Representative positions call for people that display this trait more prominently than most people. The ideal candidate is highly skilled at building a network of supportive contacts. Happiness: Tendency to maintain a mental or emotional state of well-being characterized by positive or pleasant emotions ranging from contentment to intense joy. This position calls for people that display this trait more prominently than most people. The ideal candidate often has a positive outlook and foresees a bright future for themselves.